Provides maintenance services for floor care equipment as well as sells and rents refurbished floor care equipment. Provides maintenance services for floor care equipment as well as sells and rents refurbished floor care equipment. We provide event carpet, turf, and other types of flooring for conferences, trade shows, indoor and outdoor events, as well as weddings and corporate retreats. Aside from expert installation, we can help direct you towards the perfect price point, color or pattern, and discuss tufts! Need astroturf? We have the color you need. Looking for a red carpet? Need it installed perfectly for your company? USA Event Carpet is the one stop shop you're looking for. We provide event carpet, turf, and other types of flooring for conferences, trade shows, indoor and outdoor events, as well as weddings and corporate retreats. Aside from expert installation, we can help direct you towards the perfect price point, color or pattern, and discuss tufts! Need astroturf? We have the color you need. Looking for a red carpet? Need it installed perfectly for your company? USA Event Carpet is the one stop shop you're looking for. Westland Carpet and Floors is the best flooring store in the area. We proudly serve all of Westland Michigan and Metro Detroit. We offer the most professional and affordable carpet and flooring services. Call us today for your free, in home estimate! Westland Carpet and Floors is the best flooring store in the area. We proudly serve all of Westland Michigan and Metro Detroit. We offer the most professional and affordable carpet and flooring services. Call us today for your free, in home estimate! Aesthetic Flooring & Hard Surfaces, Inc.
You can trust Aesthetic Flooring & Hard-Surfaces, Inc. to provide top-quality flooring services and products at prices you can afford! In addition to offering the best rates in town, we also offer FREE estimates as well as discount and financing options. We provide carpet, tile & stone, wood & laminate, vinyl, concrete polishing, floor preparation services in Northern Colorado including Longmont and Greeley. We also work for commercial property. Call us today for more information! You can trust Aesthetic Flooring & Hard-Surfaces, Inc. to provide top-quality flooring services and products at prices you can afford! In addition to offering the best rates in town, we also offer FREE estimates as well as discount and financing options. We provide carpet, tile & stone, wood & laminate, vinyl, concrete polishing, floor preparation services in Northern Colorado including Longmont and Greeley. We also work for commercial property. Call us today for more information! Floorz is a family owned and operated business, boosting a beautiful showroom and tons of options for beautiful & affordable flooring in your home. we specialize in carpet, tile, hardwood, and laminate flooring solutions in Fort Myers, FL. We have several decades of experience, and our staff is friendly and knowledgeable. Give us a call or visit by today to see what we carry in stock for any room of your home. We offer both sales and installation services, and we'd be happy to provide you FREE . Floorz is a family owned and operated business, boosting a beautiful showroom and tons of options for beautiful & affordable flooring in your home. we specialize in carpet, tile, hardwood, and laminate flooring solutions in Fort Myers, FL. We have several decades of experience, and our staff is friendly and knowledgeable. 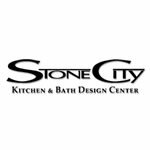 Give us a call or visit by today to see what we carry in stock for any room of your home. We offer both sales and installation services, and we'd be happy to provide you FREE . At Hoffman Floor Covering Corporation get customized seamless poured epoxy flooring and epoxy in Farmingdale and Long Island, New York. At Hoffman Floor Covering Corporation get customized seamless poured epoxy flooring and epoxy in Farmingdale and Long Island, New York. Need New Floor Tiles? Get floor tiles that look classy – last you decades – and NEVER lose color. Suitable for both professional and personal spaces. Get floor tiles for your home, office, or building! Need New Floor Tiles? Get floor tiles that look classy – last you decades – and NEVER lose color. Suitable for both professional and personal spaces. Get floor tiles for your home, office, or building! Whether you're building a new home or are doing a weekend remodel, Peek's Floor Co. has the flooring, countertop and window treatment selections you want at fantastic prices. Browse everything from salvaged barn doors to eco-friendly flooring options. Whether you want form, function or both, Peek's has the largest selection in the area to help you find the perfect match. Whether you're building a new home or are doing a weekend remodel, Peek's Floor Co. has the flooring, countertop and window treatment selections you want at fantastic prices. Browse everything from salvaged barn doors to eco-friendly flooring options. Whether you want form, function or both, Peek's has the largest selection in the area to help you find the perfect match. Brentwood Flooring America is a full-service flooring center since 1974. We specialize in sales, installation, and service. Our products include a huge range of carpet styles and designs, hardwoods, laminates, rugs, vinyl, and ceramic tiles. We install what we sell with superior service and selection at a great price. Feel free to call us for more specific information and let us know how our services can help you. Brentwood Flooring America is a full-service flooring center since 1974. We specialize in sales, installation, and service. Our products include a huge range of carpet styles and designs, hardwoods, laminates, rugs, vinyl, and ceramic tiles. We install what we sell with superior service and selection at a great price. Feel free to call us for more specific information and let us know how our services can help you. Zone Garage is the exclusive Manufacturer and Installer of GraniteShield® products for garage, concrete floors, decks and walkways. We are proud to be serving our great Province of Alberta from Blackfalds right up through Grande Prairie, Fort McMurray and Lloydminster. We offer POLYUREA PATENTED flooring products to market with nothing that compares to its strength and durability. Once dry, the coating creates a seamless membrane that is easy to maintain. Zone Garage is the exclusive Manufacturer and Installer of GraniteShield® products for garage, concrete floors, decks and walkways. We are proud to be serving our great Province of Alberta from Blackfalds right up through Grande Prairie, Fort McMurray and Lloydminster. We offer POLYUREA PATENTED flooring products to market with nothing that compares to its strength and durability. Once dry, the coating creates a seamless membrane that is easy to maintain. Marvelous Epoxy Flooring is one of the leading epoxy flooring services in Phoenix. Composed of well-trained and highly-skilled epoxy flooring experts, our team has the right amount of technical capacity and knowledge in providing top quality service to our clients. Marvelous Epoxy Flooring is one of the leading epoxy flooring services in Phoenix. Composed of well-trained and highly-skilled epoxy flooring experts, our team has the right amount of technical capacity and knowledge in providing top quality service to our clients. SlipTec Solutions™ floor treatment is a service provided by SlipTec. It is a chemical process that puts an invisible tread design into the surface on hard mineral surface flooring. SlipTec, the ultimate non-slip invisible floor tread treatment works on any hard mineral surface indoors or outdoors such as: concrete, quarry tile, ceramic tile, chiclet tile, mosaic tile, dairy tile, glazed brick, terrazzo, granite, marble, slate, cool deck, etc. SlipTec Solutions™ floor treatment is a service provided by SlipTec. It is a chemical process that puts an invisible tread design into the surface on hard mineral surface flooring. SlipTec, the ultimate non-slip invisible floor tread treatment works on any hard mineral surface indoors or outdoors such as: concrete, quarry tile, ceramic tile, chiclet tile, mosaic tile, dairy tile, glazed brick, terrazzo, granite, marble, slate, cool deck, etc. Hardwood flooring is a classic addition to any home old or new. It presents an atmosphere of time-honored tradition and warmth. Real wood flooring will stand the test of time to last the life of your new home, addition or remodeling. It has a high resale value because it matches any decor imaginable. It is highly recommended by allergists for being hypo-allergenic and cleaner than carpet. EPHF has installed and refinished floors from the smallest foyer to giant gymnasiums. Hardwood flooring is a classic addition to any home old or new. It presents an atmosphere of time-honored tradition and warmth. Real wood flooring will stand the test of time to last the life of your new home, addition or remodeling. It has a high resale value because it matches any decor imaginable. It is highly recommended by allergists for being hypo-allergenic and cleaner than carpet. EPHF has installed and refinished floors from the smallest foyer to giant gymnasiums. It's Your Floor services the Dallas, Fort Worth area with a wide range of hardwood, tile, vinyl, laminate and carpeting options. To find what you need visit us today! It's Your Floor services the Dallas, Fort Worth area with a wide range of hardwood, tile, vinyl, laminate and carpeting options. To find what you need visit us today! Rugknots.com is the #1 custom rug shop in Hagerstown, Maryland. We have a large range of hand knotted rugs, round rugs, bokara rugs, overdyed rugs, pak persian rugs, ziegler rugs, runner rugs, ikat rugs, oriental rugs and custom rugs all handmade. Rugknots.com is the #1 custom rug shop in Hagerstown, Maryland. We have a large range of hand knotted rugs, round rugs, bokara rugs, overdyed rugs, pak persian rugs, ziegler rugs, runner rugs, ikat rugs, oriental rugs and custom rugs all handmade. Picton & Engadine Floorstore, a family owned and operated business with combined experience in the flooring industry of more than 220 years. Picton & Engadine Floorstore, a family owned and operated business with combined experience in the flooring industry of more than 220 years. All flooring products, engineered wood, laminate, natural stones, porcelain tiles, counter tops, Carpet and LVT. All flooring products, engineered wood, laminate, natural stones, porcelain tiles, counter tops, Carpet and LVT. 35 years Finn Wall Specialties has been recognized as an Industry leader in Terrazzo, wall coatings, floor coatings and industrial flooring. Our experienced staff will provide the highest quality workmanship and service you are looking for. Call us today for a free estimate. 35 years Finn Wall Specialties has been recognized as an Industry leader in Terrazzo, wall coatings, floor coatings and industrial flooring. Our experienced staff will provide the highest quality workmanship and service you are looking for. Call us today for a free estimate.